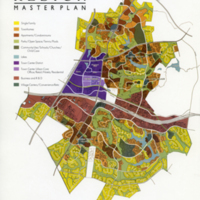 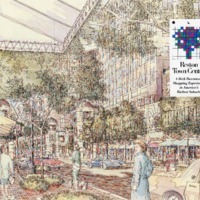 Color leaflet detailing Phase 1 of the future Reston Town Center in terms of location, space, developer, architect, retail, parking, an other amenities. 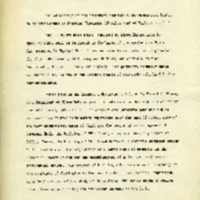 2 sided folded into thirds. 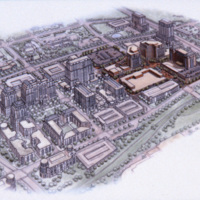 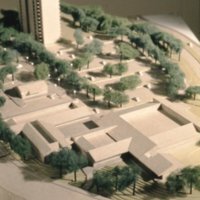 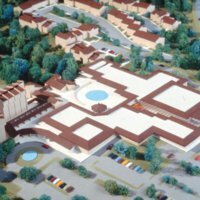 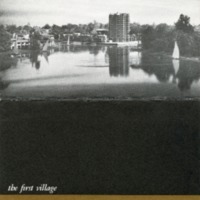 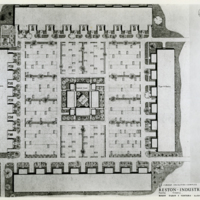 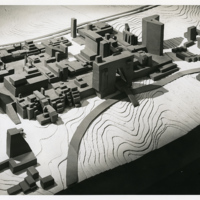 Photograph of an architectural model of Reston Town Center concept. 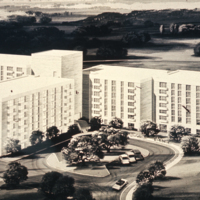 This view would be from the southeast. 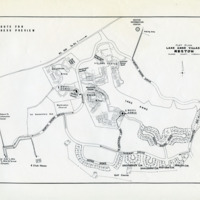 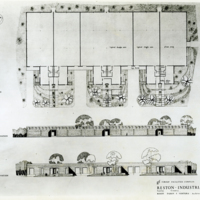 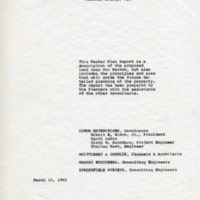 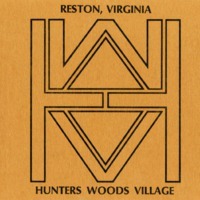 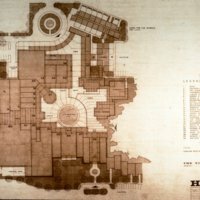 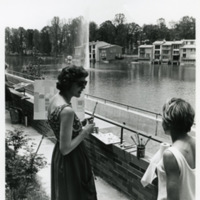 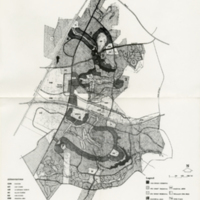 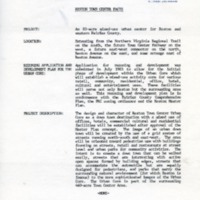 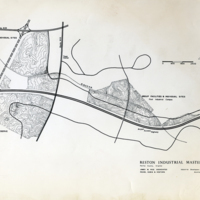 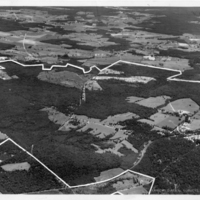 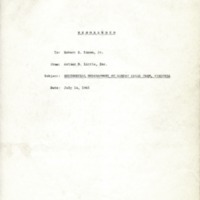 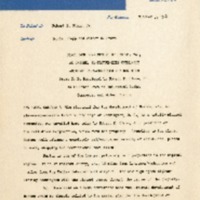 Press release of October 3, 1961 by Safire Public Relations, Inc. of New York, New York announcing the planning and construction of Reston, Virginia.